When it comes to supplements we often wonder when the best time to take them is and can timing make them more effective? So should you take them at breakfast, lunch, dinner or just whenever you remember to during the day? First of all taking them is always better than not taking them but the general recommendation is to take supplements with food, and spread evenly throughout the day with meals. However different vitamins are suited to different times, some are better first thing or later during the day, and personal preference with what works for you and your lifestyle also plays a role like after a workout or before bed. 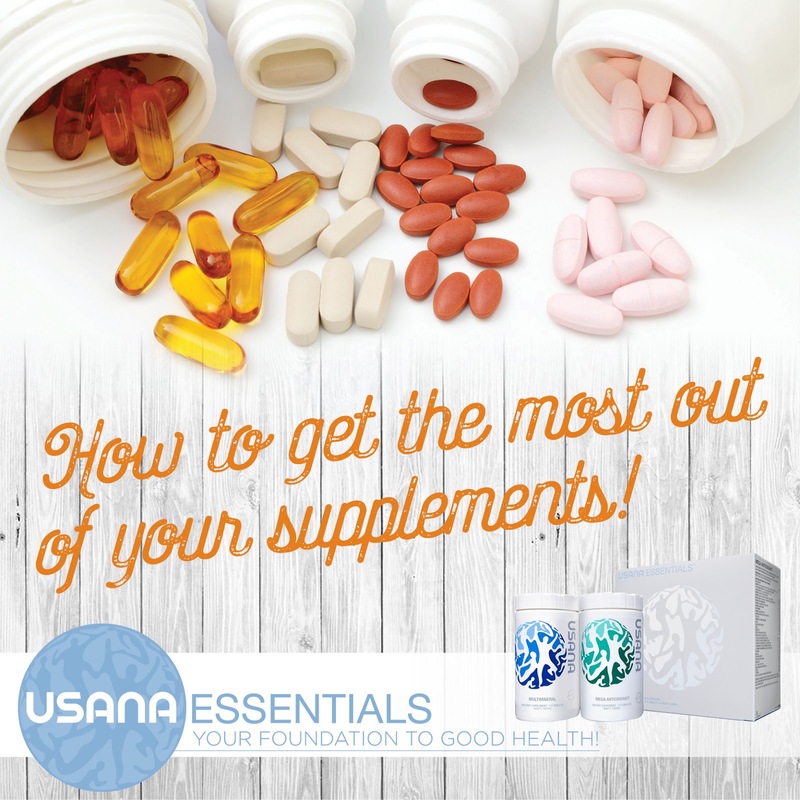 For multivitamins, such as USANA’s Essentials, it’s best to take them just after a meal as most vitamins and minerals shouldn’t be taken on an empty stomach due to poor absorption and accompanying nausea. It’s important to take your supplements in the morning because it gives them the best chance to be absorbed into your system and kick starts the day with a good nutritional foundation. After your breakfast dose it's recommended to take Essentials with other meals throughout the day and preferably spread the dosage evenly throughout the day for optimal results. Another point to remember is to try and take your supplements at the same or similar time each day as this will help the absorption of vitamins into your system. For more information about USANA visit: www.usana.com please log in to enjoy the Preferred Price.